When it comes to keeping your home’s air clean, you have many different options concerning filters. One of the best options that you can choose is a HEPA filter, but what exactly is a HEPA filter, how often do you need to replace these filters, and are they worth it? These are all questions that people have about HEPA filters, and, luckily, the answers are pretty simple and straightforward. It is important to note that not just any filter can achieve the “HEPA” designation. To be a genuine HEPA air filter, the filter has to meet government standards put in place by the United States Department of Energy. These filters, under government standards, have to remove at least 99.97% of the tiny particles that pass through them. Because of the high standards that these filters must meet and because of how high quality they are, they are commonly used in facilities for which air quality is critical, such as hospitals. However, they can and are often used for homes as well. And, with proper care, they can go a long way toward improving the air quality and quality of life in any home. Once you have purchased a HEPA filter, you may have questions about how often you should change it. It is important to note that different HEPA systems and HEPA-compatible systems will have recommendations about how often to change filters. Thus, you should always follow the instructions for your specific system. Fits Hoover WindTunnel Air, Windtunnel 3 Pro Bagless Uprights. 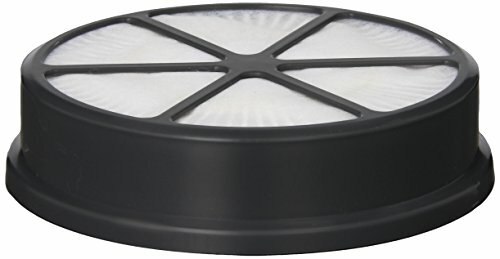 With that said, a good general rule of thumb for most HEPA filters is to change them at least once every six months, mainly if the filter contains carbon. However, some filters can go for as long as two years without needing to be changed. If you are unsure about how often do hepa filters need to be replaced, remember that you have nothing to lose by playing it safe and changing your filter at least twice a year. You can and should also change your filter if you notice any of the “warning signs” that your filter needs to be replaced. As mentioned, you should always change your filter according to the manufacturer’s instructions. Or, if you’re unsure about the directions for your particular filter, you should change it at least once every six months. Aside from that advice, though, there are some instances in which you should immediately change your filter. After all, every home is different, and some homes will go through filters more quickly than others, especially if you do things that negatively affect your home’s air quality, such as smoking indoors or having pets. Looking at your filter, for instance, can be a good indicator that you need to change it. If the filter appears gray or just seems dirty, such as having lots of visible dust and debris on it, you will want to go ahead and change it out. After all, everything that is on your filter is everything that is circulating through your lungs and the lungs of your family members. So, if there is build-up on the filter that you wouldn’t want in your lungs, go ahead and change it out. Another indicator that you will want to change your filters is if you notice that your heating or air conditioning functions take a long time to turn on. You may hear that “whirring” sound when you power up, but if it takes awhile for the actual heat or air to come through, this could indicate that your system is dirty and clogged and is, therefore, taking a while to start sending fresh air into your home. You can eliminate this problem by changing to a clean, new filter. Allergy flare-ups among your children or other family members may also mean that you need to change your filters. Some people, including those with allergies, are more sensitive to poor air quality and can benefit from having the air filter replaced more often. So, if you or your kids or spouse start sneezing and sniffling more often, it’s a smart idea to change the filter and see if that fixes the problem. As you can see, it’s pretty easy to keep your filter looking and functioning well. All you have to do, in most cases, is change it out twice a year. And, if that doesn’t work or isn’t often enough, then just look out for the warning signs that your filter is in dire need of changing and then change as needed.